1971 will forever be one of classic rock's finest years. 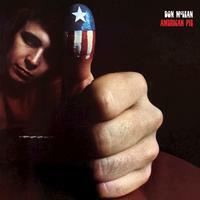 Here is one of the most important albums of that decade, Don McLean's classic American Pie. This huge album netted the singer many awards as well as a ton of radio airplay. Even to this day the eight-plus minute title track, as well as his haunting "Vincent" and other smashes such as "Winterwood" continue to get massive radio activity.